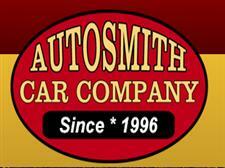 Autosmith Car Company - - Family Owned & Operated Since 1996 . 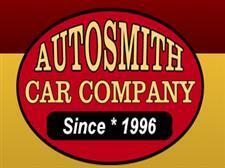 Autosmith Car Company has been dedicated to providing your transportation needs for the past 20 years. If you need a family vehicle, a pick up truck or a utility vehicle, we pride ourselves on listening to your needs and helping you make the right vehicle purchase. 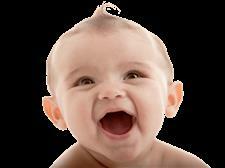 Our customers tell us that they enjoy the relaxed, casual, no pressure atmosphere that we provide. We are customer focused, because we are here for the long run and we know that you, the customer, is why we are here. Dave W * * * * * 5 - Stars - . . . Drove out of my way to look at a 2005 Ford Ranger pickup truck, but glad I did. The whole process from beginning to end was the smoothest I've ever encountered from ANY car dealer before. Mike and Karen were very professional and very "real" and genuine people. Decided to buy the vehicle and everything was ready to go when I went back to pick it up. Also, the detailing done on the truck was top-notch. I would go back there again and have since told many other people about Autosmith. Thank you. Krystin * * * * * 5-Stars - . . .
Jim * * 2 - Stars - . . .
by Ed from Troy, ME * * * * * 5 - Stars - . . .
We decided to make the 208 mile one-way journey to Autosmith Car Company because Dave, over the phone, gave us plenty of info on the van and made us feel at ease. On arrival, Karen made us feel welcome and almost like we were home while Dave was getting the van ready for us. After the test-drive revealed some issues with the van, everyone at Autosmith, from the owner on down, pulled together to resolve them and to quietly offer us some alternatives. We were both impressed with how professionally and efficiently they dealt with unexpected issues that suddenly popped up. Although the process took longer than anticipated due to resolving the issues, we ended up buying what we consider to be a bargain. When it's time to replace our other aging vehicle, we'll definitely check with Dave, Norm and Karen to see what they have available. 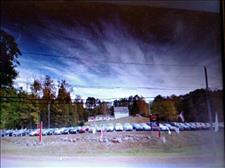 It was really worth the round trip for a great experience in used car shopping. Thanks again, guys! by Cindy from Washington, NH * * * * * 5 - Stars - . . .
Cathy Z from Dover, NH * * * * * 5 - Stars - . . .
free2bemeg NH * * * * * 5 - Stars - . . .
Autosmith is a small, local dealership with all the important elements for a great buying experience. 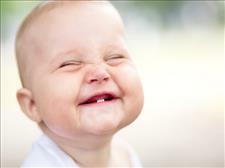 The sales team was friendly, courteous, and accomodating to our family, even a toddler. The entire process was painless and quick. The office is small, but adequate. The trade-off is being so close to home, well worth it in my opinion. We did have to call in on the included warranty in the first week and CAN NOT say how IMPRESSED we have been with Autosmith for taking care of the repairs. Thank you to everyone at Autosmith. We highly recommend anyone check out this local dealer first. Thank you so much for the great review! Happy customers give our staff a good feeling about doing our jobs. We truly appreciate the business! I bought a 2003 vw jetta from Autosmith because i was in desperate need of a decent car just for work commutes. They let me take it for a spin and it was a blast! I enjoyed finally having a car I could shift into 6th gear, not just 5th. Once i got over the bells and whistles of it all i looked down at thw dash and saw an airbag light.. I take it back to the lot and explain the couple issues i had with it. He told me that they could fix it up and check all the codes before i took it home. So being my naive 22 yr old self I agreed.. Took it home and was OBSESSING over this beautiful car. 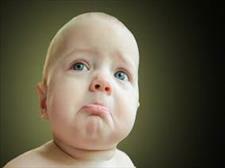 Had the car less than 2 hours and the battery died (after they told me they just put a new one in.) They never told me the car fax and said it was a very clean car.. I brought it back to them 3 or 4 times with in the warranty period to have them fix the same two issues i kept having! They would "fix it" and it would be back the way it was before i even got home. I got backed into hard on a one way road and it took my front bumper off a little and cracked the vw symbol. After i got out of work that same night i hit 2 raccoons. Big raccoons. Long story short, my car was deemed a total loss. The mechanic explained thatthe damadge on the vehicle from my accidents were not the reason it was a total loss.. It was the accident ts it had been in the past. This mechanic also asked me how the hell did it pass insepction?! I said it came to me that way. Good job Autosmith! Putting inspection stickers on vehicles that should not be on the road. Letting familys buy your cars with the potential outcome of someone getting seriously injured. For the record, both of the accidents i was in SHOULD have set off my airbags. Dont promise costomers with your "garage" where everything will be "fixed" and "road-ready" Unless you enjoy throwing large amounts of money away and being lied too, dont go to Autosmith. Will not recommend to ANYONE. Rob L. * * * * * 5 - Stars - . . . I purchased a truck from Autosmith in August of 2015. I'm not one for writing reviews and I'm a little late getting to this but, here goes. The salesman experience was average at best (not a bad thing) and negotiations were reasonable. Financing was quick and provided options. Pickup day was a little slow on the vehicle end as it was not quite ready when we were. Detailing was questionable at best but, all parties were pleasant and hospitable. I mentioned these issues first because first impressions are lingering impressions. Now let's talk about the real company, not the first impression. There was a problem with the truck on the drive home, I called and they had me come back. 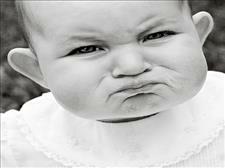 The mechanic was waiting for me on arrival and quickly agreed to the issue. Problem 2, same issue. The rear axle was eating axle seals. They called me prior to the agreed upon pickup time to say that they were not satisfied with the results of the repair and we're going to replace the entire axle. They had the truck ready when they said it would be and all was good.